We are very glad to introduce a smart design that will illuminate your room as soon as you get out of bed. Bed Light is motion activated and designed to bring you light when you need it, without the hassle of trying to find the light switch in the dark. With this cool light, getting up at night is much easier. Thanks to motion sensors, it will turn on the moment you put your feet on the ground. 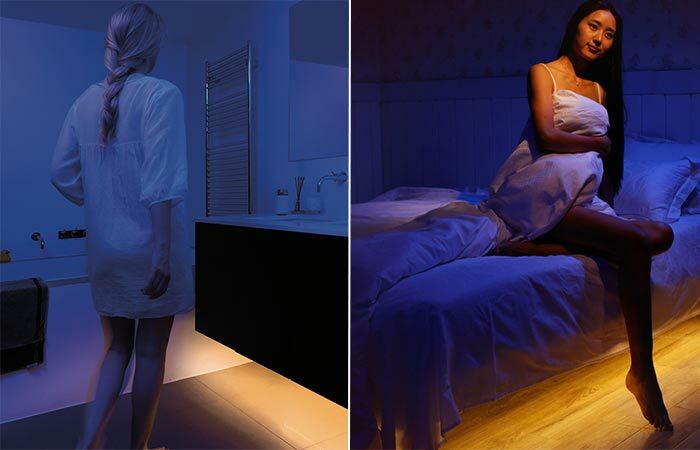 Your room will be illuminated with a warm and soft light, so you won’t wake up anybody in the middle of the night. 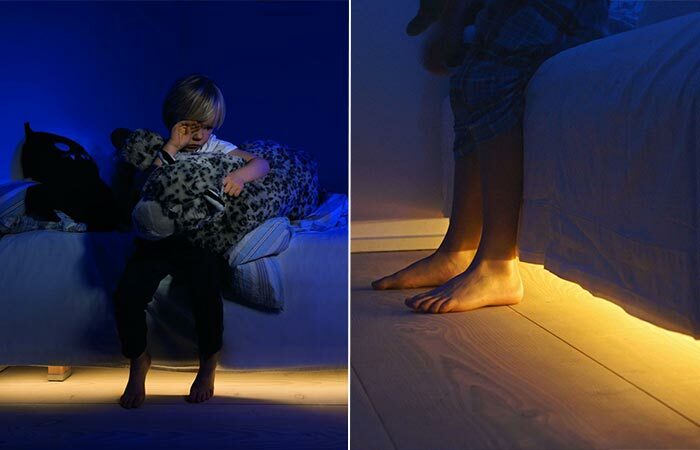 With motion sensors, the light will turn on once you get out of bed. You won’t need any tools to set it up and it’s very simple to do so. 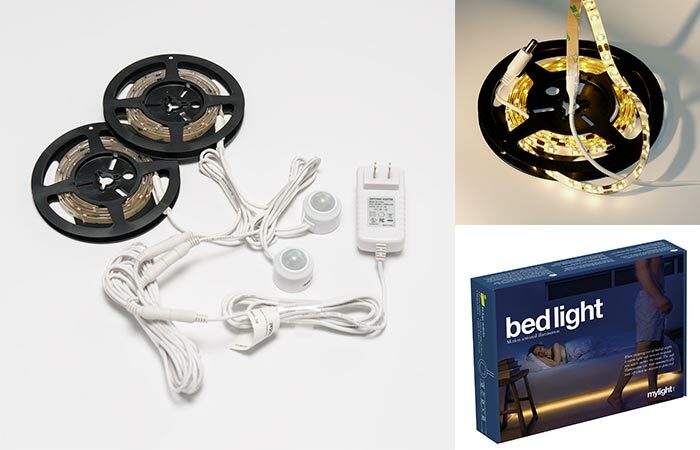 Bed Light uses two 5 ft LED self-adhesive flex strips with 190-lumen output. Each foot fits around 10 LEDs. Probably the most important benefit of this light is that it consumes little energy. Also, it’s very long lasting, in fact, it can last 3.4 years at continuous usage. The light is soft, doesn’t consume a lot of energy and it will last for many years to come. The installation process is very simple and you can do it quickly, with no tools necessary. You’ll need a power supply that’s close to your bed and you’ll even get two cable clips for hiding the cables. Another handy thing is that you can set the auto shut-off timer all the way from 30 seconds to 10 minutes. Check out the video below. You can set the shut-off timer according to your needs, anywhere between 30 seconds and 10 minutes. Bed Light comes with a one-year warranty. To learn more about it, watch the video bellow. If you like this one, make sure to also check out Closet Light.